Defects in concrete structures can be due to poor construction practices i.e. poor construction quality control at site or due to poor structural design and detailing. But, after construction at site, the common types of defects in concrete structures are honeycombing, form failure or misalignment of formwork, dimensional errors, rock pockets and finishing errors. Honeycomb and rock pockets appear on the concrete surface where voids are left due to failure of cement mortar to fill spaces around and among coarse aggregates. This happens due to poor quality control during mixing, transporting or placing of concrete. This can also happen due to under or over-compaction of concrete, low cement content or improper mix design. If these defects are minor, can be repaired by using cement mortar grout just after removal of the formwork. If the repair work is delayed more than 24 hours, epoxy bonded concrete replacement should be used for such repair works. Defects in concrete surface due to misalignment of formwork or movement or failure of formwork can be repaired with surface grinding to maintain the verticality of the structure if the error is minor. In case of major error, the concrete member shall be repaired by removing the concrete in defective area and then reconstructing that portion of the structural member using suitable methods. 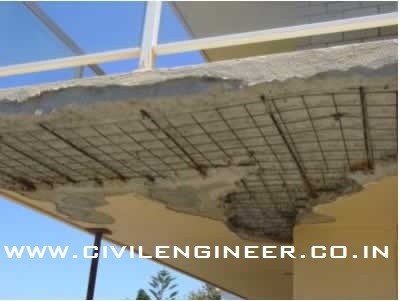 Dimensional errors in concrete structure result due to poor centering of structural member as per drawing or error in detailing. In that case, the structural member can be used if it can be accepted for intentional purpose of the structure or can be reconstructed. Finishing errors in concrete structures can involve over-finishing of the concrete surface or addition of more water or cement to the surface during finishing of the concrete. This results in the porous surface which make the concrete permeable resulting in less durable concrete. 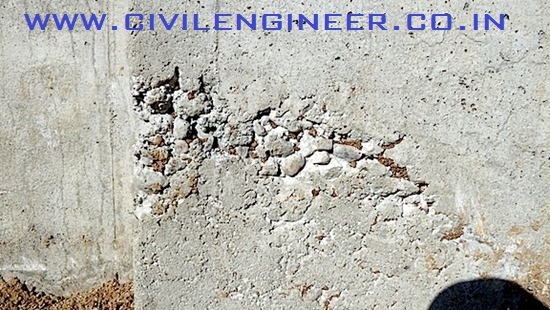 Poor finishing of concrete results in the spalling of concrete from surface early in their service life. Repair of spalling involves removal of defective concrete and replacement with epoxy bonded concrete.